In a city known for its historical significance, you can look in any direction in Wilmington and find yourself transported back to a time of struggle, triumph and adventure. Established in 1739, this Port City has survived the ravages of war from the Revolutionary War, the Civil War, and WWII, standing free, architecture and historical indicators intact, and thriving today. Throughout this time, the Cape Fear River has been the primary influence on the area, providing a pathway for trade and industry. Wilmington gradually made navigational improvements, adopting the tools necessary to improve the city’s industries and overall appeal. The invention of steam-powered vessels and rail services led to further advancements, allowing the city to remain North Carolina’s largest town from 1840 until around 1910. During the 1800,s, cotton was king and so was Wilmington’s port. Home to some of the largest and most active cotton export companies in the world, Wilmington grew its reputation both at home and abroad. The city’s strategic location ensured cotton was not the only good passing through the port. During the Civil War, Wilmington served as the access point for a significant bulk of Confederate supplies, including clothing, munitions, and food. The Rebel forces’ supplies were cut after blockade runners could no longer pass through the Union line of defense. In 1865, the Confederacy lost its last open supply line when Fort Fisher fell to its demise, causing Wilmington to surrender to Union forces. 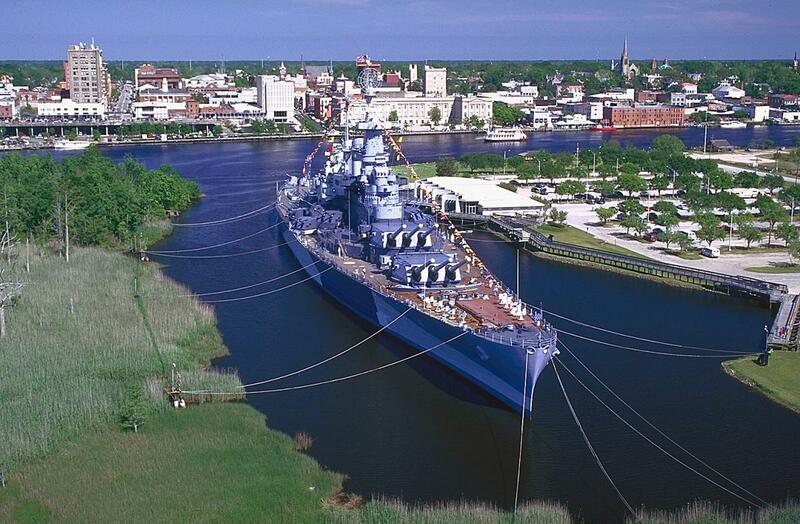 The Battleship NORTH CAROLINA is a reminder of Wilmington’s role in WWII. Credited with 15 battle stars, this ship honors more than 10,000 North Carolina men and women who died defending America’s freedom. Wilmington also helped support the war by building and delivering 243 ships to the Allied war effort, and was home to a POW camp and one of the country’s oldest remaining USO buildings. 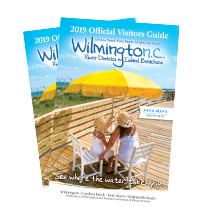 Take a self-guided tour of Wilmington-area WWII sites using the WWII Heritage Guide Map to learn about the many other attractions, facilities and activities commemorating this important era. If your favorite pastime is “past times,” explore the Wilmington area with a guided or self-guided tour or with a history app. With three historic homes open to visitors, seven districts on the National Register of Historic Places, a preserved Civil War Fort and WWII Battleship, sacred grounds where legends and lore live on await your visit. Explore one of Wilmington’s three historic homes to get a taste for what life was like throughout various historical eras. Visit the Bellamy Mansion, one of North Carolina’s premier architectural and historic treasures, where you can stroll through a lush Victorian garden and take in the beautiful antebellum architecture of the 10,000 square-foot home. Built on the eve of the Civil War by free and enslaved black artisans, the site features a rare surviving and one of the best preserved examples in the country of antebellum servants’ quarters. Through the Bellamy Mansion Slave Quarters restoration, the lives and contributions of not only the enslaved residents and their children, but also all enslaved people who lived in such dwellings will be honored. At the Burgwin-Wright House Museum, you can admire the home’s Georgian architecture and check out 18th and 19th-century furnishings, antiques and rare objects throughout the home. 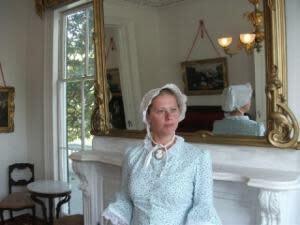 The Latimer House Museum showcases upper-class life in Wilmington during the Victorian period. With 14 rooms containing over 600 historic objects, the Latimer House lets you step back in time to a more elegant era. Imagine you are at sea, searching the sky for WWII enemy aircraft aboard the Battleship NORTH CAROLINA, a heroic ship and her crew that fought in every major naval offensive in the Pacific during WWII, earning 15 battle stars. At the time of her commissioning on April 9, 1941, the battleship was considered the world’s greatest sea weapon. Armed with nine 16-inch/45 caliber guns in three turrets and twenty 5-inch/38 caliber guns in ten twin mounts, the Battleship NORTH CAROLINA proved a formidable weapons platform. Her wartime complement consisted of 144 commissioned officers and 2,195 enlisted men, including about 100 Marines. A tour of the ship provides information on the ship&apos;s history and a look into the life of the ships&apos; crew during the war and more. The Cape Fear Museum of History & Science is the state’s oldest history museum and showcases exhibits and artifacts related to the history, science and culture of the lower Cape Fear region. 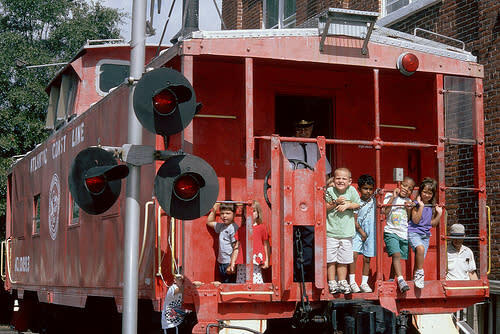 The Wilmington Railroad Museum is dedicated to preserving the history of the Atlantic Coastline Railroad and the history of railroading in the United States and mixes education with fun for all ages. The Cameron Art Museum presents exhibitions and outdoor projects of historical and contemporary significance. Its park property includes a historic Civil War site, the Battle of Forks Road, in which Union troops gained control over the city, seaport, railroads and Cape Fear River aided by 1,600 United States Colored Troops whose bravery is honored with a Historical Highway Marker. Located in Kure Beach, the North Carolina Military History Museum features indoor and outdoor exhibits with artifacts and military vehicles from all branches of service used in past wars. Take a step back in time with a guided or self-guided tour of Wilmington’s historic river district. Tour Old Wilmington offers a guided tour showcasing what life was like in Wilmington during the Victorian era and provides information on the customs and traditions of the day, sea tales, folklore and more. To take a historical tour at your own pace, you can download the Wilmington.Tours app. See a side of historic downtown Wilmington that you have never seen before with exclusive photos and resources as you listen to a narrative of several historic locations. Wilmington, NC is among the most historically significant African-American regions in the United States. African-American ancestry is traced back to the 1700’s, and although much important history left no visible landmark, several historical sites still exist. Take a self-guided tour of these sites throughout the area including Orange Street Landing at the Cape Fear River - a National Underground Railroad Network to Freedom site, the 1898 Monument which memorializes those harmed by the violence of 1898 and honors those who have continued their work for racial progress, and the Wilmington National Cemetery where the remains of the 27th U.S. Colored Troops - who fought and died during Battle of Fort Fisher, which marked the end of the Civil War - are buried. Visit nearby Kure Beach where you can explore the site of one of the most influential battles of the Civil War - Fort Fisher State Historic Site. Until the last few months of the Civil War, Fort Fisher kept North Carolina&apos;s port of Wilmington open to blockade runners supplying necessary goods to Confederate armies inland. By 1865, the supply line through Wilmington was the last remaining supply route open to Robert E. Lee&apos;s Army of Northern Virginia. When Fort Fisher fell after a massive Federal amphibious assault on January 15, 1865, its defeat helped seal the fate of the Confederacy. Visitors are invited to tour the remains of the fort&apos;s land face featuring an impressive reconstruction of a 32-pounder seacoast gun at Shepherd&apos;s Battery. 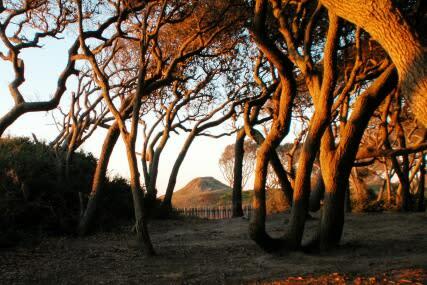 Shaded by gnarled live oaks, a scenic trail leads tourists from the visitor center past the gigantic earthworks and around to the rear of the fort. 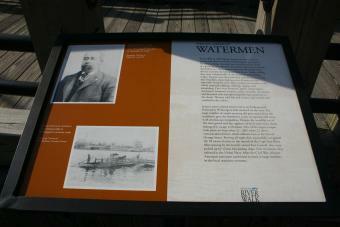 Guided tours and exhibits provide historical orientation. Other exhibits include items recovered from sunken blockade runners. Experience our National Register Historic District via a horse-drawn carriage or walking tour. Spanning 230-plus blocks, you’ll be treated to classic architecture, brick-lined streets and antebellum homes. 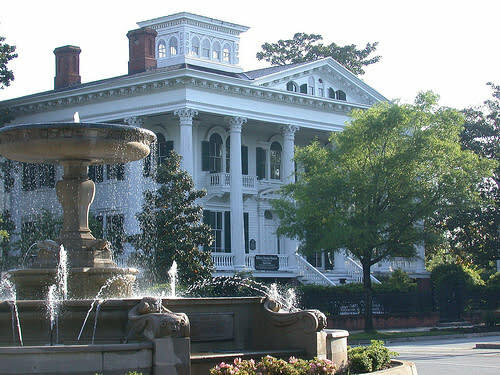 With elegant plantation homes, historic buildings, and numerous attractions, Wilmington&apos;s historic district is one of the most beloved parts of the city. Bound by Wright, S. 7th and Harnett Sts., and the Northeast Cape Fear River, this largely commercial district has been growing since the early 1700s and features a variety of architectural styles as well as underwater archaeological sites. Colonial and Classical Revival architecture from 1900 to 1924 are featured, with magnificent homes at 1704, 1705, 1710, and 1713 Market St., including the Kenan House and the Wise Alumni House. 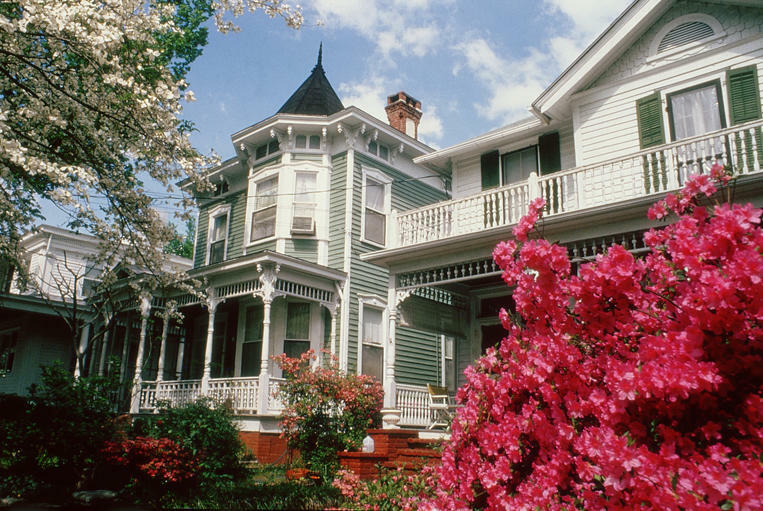 The Carolina Place neighborhood was built as a streetcar suburb at the turn of the 20th Century and includes 460 acres and 337 Bungalow/Craftsman, Queen Anne and late 19th/early 20th Century Revival homes. This 815-acre district, bounded by Market St., 13th St., Rankin St., and 19th St., features 410+ Classical Revival, Colonial Revival, Prairie style and Queen Anne style homes and businesses. It was developed in 1908 as an upscale suburb of Wilmington. Homes built between 1825 and 1949 on the east side Magnolia Dr. and from 7301 to 7506 Masonboro Sound Rd. feature styles including Colonial Revival and late 19th/early 20th Century Revival. The district is a survivor of an 18th/19th Century resort and also site of Civil War salt works. Envisioned in 1912 as a high-class, planned community with street car service, electric lights, gas, sewers, sidewalks and tree-lined macadamized roadways and plazas. The 800+ homes, businesses, churches and parks were roughly bounded by Carolina Beach Rd., Southern Blvd., Burnett Blvd., and Sunset Ave. The structures are primarily in the Bungalow/Craftsman and Colonial Revival styles. Built around 1914, Westbrook Ardmore is another neighborhood designed as a streetcar suburb with 500+ homes, churches, stores and a fire station. The district is bounded by Dock St., Wrightsville Ave., Queen and Lingo Sts., and by S. 14th St. and features Bungalow/Craftsman and Colonial Revival architecture.